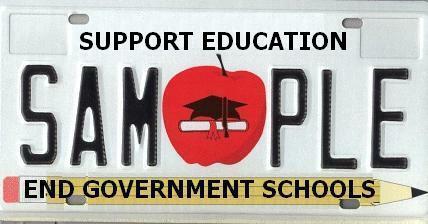 The separation of school and state is as important as the separation of church and state. And for the same ideological reasons. The government should not run Sunday school, nor Monday school through Friday school. When the U.S. Constitution was written, most people received private educations, and government schools, if they existed at all, were rare and did not predominate as they do today. If the authors of the Constitution had foreseen the government’s modern education monstrosity then the authors would have explicitly banned government schools just as they banned government churches in the First Amendment. An attorney in Florida launched the amendment movement after filing a motion in federal court to dismiss drug charges on the grounds that defendants cannot receive fair trials in drug cases because jurors were educated in government schools and cannot be impartial. The motion argues that government schools are unconstitutional, and that the First Amendment should be enlarged to prohibit educational as well as religious establishments. The motion is available at http://rexcurry.net. The motion in federal court argues that defendants do not receive fair trials because government schools propagandize jurors to do as the government says. More specifically, government schools tell jurors to support vice laws against peaceful adults, and keep jurors ignorant of jury nullification and the ways in which jurors can reject bad laws that violate individual rights. I did not originate "The government should not run Sunday school, nor Monday school through Friday school." As least in the sense that I stole it from my friend Marshal Fritz of the Alliance for the Separation of School and State, who exposed me to "Having political government run 'Monday School' is every bit as disastrous as having it run 'Sunday School.' " So I tweaked it.